if I potsed with my iPhone ther maybe some errsr. I had NO idea that creating a children’s book from scratch would entail all it has. I will be the first to admit that I think my view of it is a bit clouded because what I think of as normal timing for creating a children’s book is actually based on the timing of how long it takes children to create their own book in a classroom writing unit. Week 1: I plan and write my first draft. Week 2: I submit my draft to the editors I hired and make the necessary changes for draft 2. Week 3: Submit draft 2 to my editor, who LOVES my changes and says that there are only a few grammar and spelling mistakes to fix and that I can begin working on images. Hire an illustrator. Week 4: Fix errors in the draft and send it to Eloy, my illustrator, who sketches all of the images by the end of the week. Week 5: Eloy colors all of the pictures and sends them to me immediately. I love them all. Off to the printer! Week 6: The publisher sends me a perfect-bound book with no errors whatsoever by the end of the week. Week 1: Turns out, I need about a month to get my first draft even written. Week 2: Actually this is about Week 5. I need to hire an editor. I head over to www.elance.com and post the job. 15 people get back to me; they all have so many qualifications that I can’t decide who to hire. 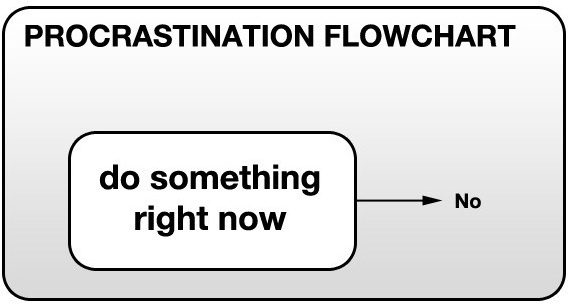 Week 3: Procrastinate. For about 2 weeks. Maybe it’s 3. Go mountain biking a lot so that I don’t have to deal with this. Week 4: It is actually now Week 10, I think, and I have put out the job on Elance for “Illustrator needed for a cliché children’s book”. Turns out there’s a global economic crisis where a lot of people don’t have jobs; I get over 500 applicants for my posting. Excuse the French: WTF?!?! Week 11: After narrowing my job requirements to people in the US who have at least 3 reliable references, 2+ years of formal education in graphic design, book design a must, and eBook programming know-how, I’m still left with over 50 applicants. Love the taste buds AND the reference to my job post! Really creative with the Cavity Creatures! And, again, I really appreciate the reference to the job posting. Colorful, yes. Clear, mmm...from a distance? Love the hat! Week 14: Illustrator chosen (#3; it was SO difficult!) and final draft hashed out with the editors. A timeline is developed for the sketched, inked, and colored images plus the final renderings. WHAT?!?!?! You mean this isn’t going to take a week, or even just 3? You need at least 10 weeks to do this? Oh, poop. Week 16: Procrastinate. Do just a little bit of work for a Kickstarter campaign. Week 18: Reality sinks in. Gotta find a publisher. After about another 4-5 weeks of researching, I finally settle on Lightning Source (I’ll post about why I chose them in the future, I promise!). Launch the Kickstarter. Week 19: Promoting the Kickstarter campaign. You haven’t heard about it yet? Neither has anyone else! Week 20: Kickstarter. Know about it? Yeah, no one else does either. Week 21: Kickstarter failed. That’s ok – I can still self-publish the book. Week…wait…I have no idea what week I’m on. I just know that in the past 9 months, I’ve set about a bazillion publication dates, failed to meet all of them, have procrastinated a lot, set up a website that changes almost daily, been rejected by the few agents I’ve submitted my book to, cried, laughed, crawled under many rocks, emerged gung-ho, and had to exercise vast amounts of patience when things aren’t going well and contain my excitement so I don’t pee my pants when things are. Here’s the gist: self-publishing is hard work. And I recommend it to EVERYONE. It’s empowering when you overcome obstacles, work for yourself, and can laugh at your mistakes. Oh, and it really, really helps to have an incredible partner to keep you on track. Thanks Nate. I love you! Yesterday was a BIG day in the Stevens-Parkhurst van-hold...the proof copy of the book arrived from the printer! Initially, I saw it on the porch of my cousin's house, where The Monster is parked currently, and was going to rip open the box it came in, but then I decided not to. Instead, I took the package inside to show Nate. Then I decided I didn't want to show Nate. I didn't even want to know that the package was there - I became VERY nervous that the printer sent the wrong book and I didn't want to be disappointed. Nate, noticing that I was acting foolish, asked me why I was acting foolish. I couldn't hide the 8.5" x 11" box in my hands. I held up the book. I tore open the package as my cousin watched and my husband photographed. I felt like Charlie as he unwrapped his chocolate bar with the Golden Ticket in it. The book is beautiful. It is so colorful and the story is just plain funny, if I do say so myself. I cannot wait to get it into the hands of families, friends, dentists, and especially kids. Writing children’s books is a lot of fun! You all deserve the biggest thank you EVER! Your encouragement has helped me gain some amazing attention and even though our Kickstarter campaignt wasn't successful (meaning nobody will be charged), I have three GREAT pieces of news to share with you! That, to me, is successful! First, an amazing supporter of this project turned me onto the extraordinary publishing company, Sunny Day Publishing (http://sunnydaypublishing.com). Their tagline, "A Health Education Company", couldn't be more in line with the Toothpaste Avenger's goal: health through education and, at that, ORAL HEALTH through education! Nathan and I are eagerly awaiting their decision on whether or not they will publish the Cavity Creatures. Yay! Try your hand at our Easy Word Search! Second, during the campaign, Delta Dental of New Jersey came across this project and wondered what my long-term goals are with the book. In a nutshell, I explained to them I will still be publishing the book but all orders will be at our retail price (discounted a certain percentage for bulk orders). Elated to hear this, Delta Dental of New Jersey is looking into how "The Invasion of the Cavity Creatures" can be woven into their foundation that works specifically on increasing the awareness of the benefits of oral health in children! This is just up our alley, right?! They already have some of the Cavity Creatures promotional items ready to go up on their Kid's Club website once they get the green light from the higher-ups on their end. Hopefully they want the book, too! Lastly, the book and all accompanying goodies are available for sale on this website! That's right, just head over to the store, click on the items you want, select your shipping method, and voila! You will soon have your goodies in hand. Thank you, again, for all of your support and encouragement - it means the world to me, the Toothpaste Avenger, Bobby Brusher, Penelope Picker, X-Ray, and those icky blobs!